Dr. Jackie Holmes has limited her practice to treating only cats since graduating from the College of Veterinary Medicine at Mississippi State University in 1994. 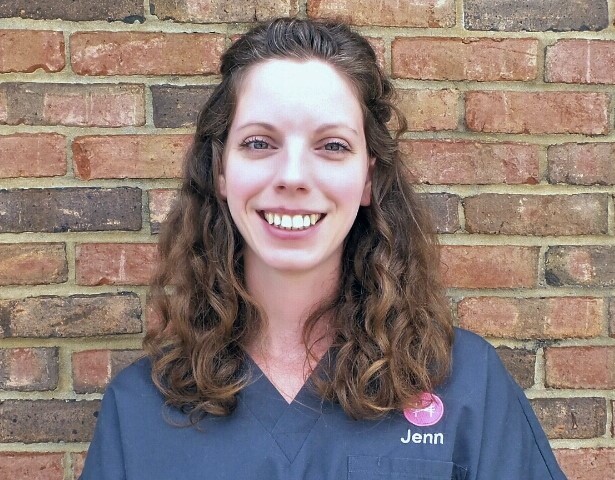 During her senior year of veterinary school, Dr. Holmes focused specifically on courses relevant to feline medicine and surgery, including rotations in cardiology, nephrology and neurology completed at the Colleges of Veterinary Medicine at the Ohio State University and Auburn University. She has also received accolades for her research on the effects of consecutive day propofol anesthesia on feline red blood cells published in Veterinary Surgery in 1995. Dr. Holmes is a member of the American Association of Feline Practitioners, the American Veterinary Medical Association, and the local Jefferson County Veterinary Medical Association. Growing up the youngest of eight children, Dr. Holmes is originally from Pensacola, Florida. Her late father, Dr. JW Andress, practiced veterinary medicine for over forty-five years. She and her husband, Jon, have two daughters. Her hobbies include gardening, stand-up paddle boarding and wake surfing. Jennifer Holmes has been a patient care nurse for 11 years. She has experience with many types of animals including cats, dogs, exotics, and wildlife. However, her favorite creatures to care for are geriatric kitties! On the weekends she spends time with her own cat, Lola, and enjoys adventurous eating. Emily Sage has worked as a veterinary technician since 2014. After 4 1/2 years working with both dogs and cats, she decided she wanted to work with just kitties and found Holmes Feline Clinic! She moved here from San Diego, California with her significant other in 2016 and loves hearing about things to do in Birmingham. When she’s not working, she enjoys hanging out at home with her four rescue kitties, Pepper, Shadow, Coraline and Thackery Binx. Hannah Martin-Lively is our kitty husbandry specialist here at the clinic! She received her B.F.A. from the University of Montevallo and volunteers with a local rabbit rescue. During her free time, she enjoys reading comics, listening to podcasts, and drawing. These things are even better with Dawson, her rabbit, and two cats, Ruby and Wilhelm.